You save $85.00 Parent-Child Session Age Group: Parents and Kids aged 4 to 12 49	Kids have signed up! Yay the long-awaited Parent-Child Bento Making session is finally here! Healthy eating can be fun, tasty, and inexpensive as well! 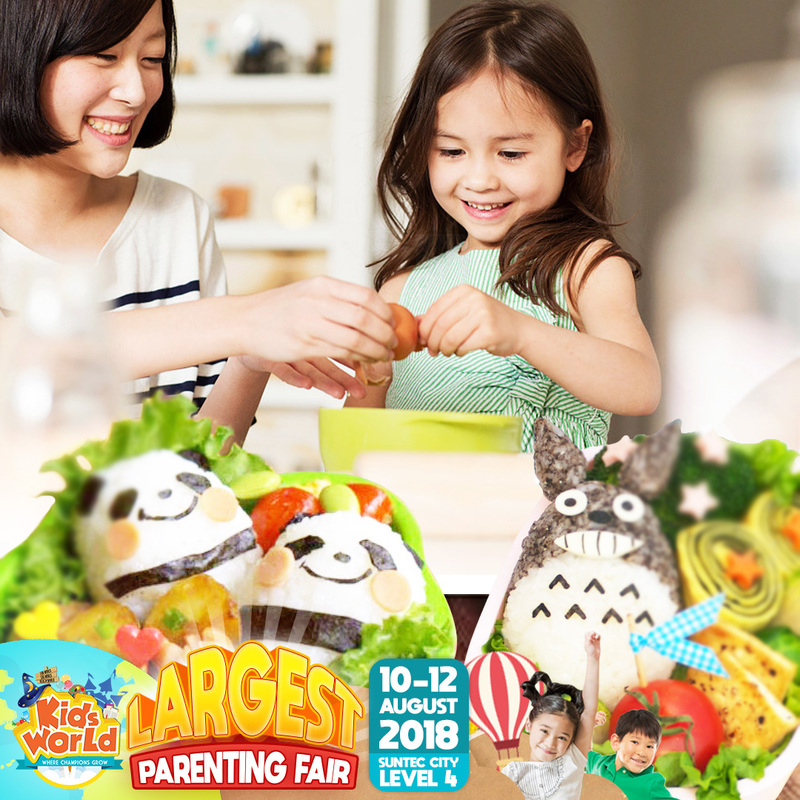 In this fun and educational bento workshop, our experienced instructor guides parents and their little ones in breakfast preparation using ingredients provided by Ayam Brand™ while explaining the wonders of science in our food! Eating clean is one lifestyle choice you can make to be healthier! With so many demands on your time, it’s often a challenge to eat healthily. This workshop is designed to help parents out by preparing foods in a shortest possible time without affecting the nutrient content of foods! Try your hand at making bento set with your kid and enter the Singapore Book of Records for the most number of people making bento together! This will be one of the most rewarding parent-child bonding experiences you’ve had – not many parents can say that they’ve set a record with their kids! 1 Parent + 1 Child (4 - 12 years old) Combo Price at $5 ONLY! $5 per parent-child pair. Children MUST be accompanied by an adult. Registration starts from 1:45pm to 2:10pm. Late arrival to the Bento Making Session will result in disqualification. No redemption of goodie bags and refunds allowed due to late arrival. Strictly No Refunds, Exchanges or Cancellations allowed. Kids World Fair reserves the right to revise, suspend or terminate any Trial Classes/Workshops without prior notice. In the event of any occurrence not foreseen under this Fine Print section, the decision of Kids World Fair shall be final.